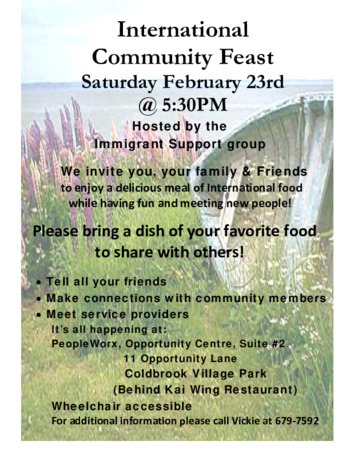 We invite you, your family & Friends to enjoy a delicious meal of International food while having fun and meeting new people! All you have to do is bring a dish of your favorite food to share with others! No other costs.